Pilgrims from across the country and around the globe are on the move. 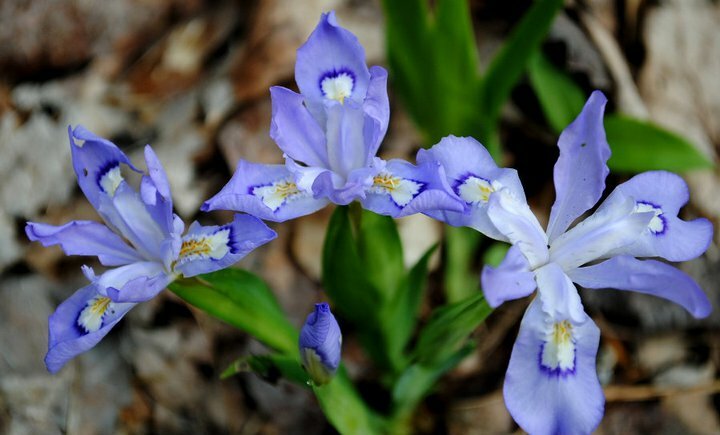 They are headed to the Mecca of biodiversity – the Great Smoky Mountains National Park to join in celebrating the 61st Annual Spring Wildflower Pilgrimage, April 26 – May 1. The Great Smoky Mountains National Park; International Biosphere Reserve and World Heritage Site is home to more than 1,600 different species of flowering plants. Ephemeral jewels kick off a yearlong parade of color each spring as they plough through winter’s leaf litter splashing color, Jackson Pollock – like, across the gray-brown forest floor. Dr. A.J. Sharp, former head of the University of Tennessee’s Botany Department, coordinated the first Annual Spring Wildflower Pilgrimage in 1951. More than 400 participants attended that first pilgrimage. More than 1,600 pilgrims will participate in this year’s event. Whatever you do, don’t expect to be bored. There are 141 guided hikes, programs and/or presentations at this year’s Pilgrimage. There will be salamander walks, bat walks, butterfly walks and old growth walks, just to name a few. Some of the programs include “Why Bartram Matters” by actor J.D. Sutton, “Flora and Fauna of the Civil War” by author and former U.S. Fish & Wildlife refuge manager Kelby Ouchley, both at the Mills Conference Center in Gatlinburg and “Return of the Elk in Cataloochee Valley” onsite in Haywood County plus many more at venues like the Sugarlands Visitor Center, Oconaluftee Visitor’s Center and the Great Smoky Mountains Institute at Tremont. There will also be a gallery of exhibitors, artists, native plant vendors and merchants located in Mills Conference Center. If you’ve never been to the Pilgrimage, you owe it to yourself to go. 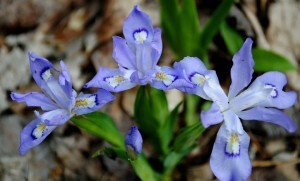 You can get detailed information regarding this year’s hikes and/or programs at http://www.springwildflowerpilgrimage.org/ . No matter your skill level or interest, you are sure to find a program or programs and leaders that fit the bill. I know it’s easy to overlook. It’s in our own backyard and there’s the tendency to think, “I can go in the Park any time.” And while that may be true – you can’t go into the Park anytime with guides and mentors like the ones at the Spring Wildflower Pilgrimage. I have to give a shout out to a couple of old Louisiana connections. Dr. R. Dale Thomas, retired professor of botany from ULM (University of Louisiana Monroe – Northeast Louisiana University back in the day) was my plant taxonomy instructor and if anything matched is field expertise, it was his enthusiasm for being in the field. Dr. Thomas will be leading a trip along Chestnut Top Trail on Thursday, April 28 and a tree and shrub hike on Friday. One of my classmates in Dr. Thomas’ class, now Dr. Patricia Cox, a professor of botany at the University of Tennessee for 13 years and now a senior botanist for the Tennessee Valley Authority is a fern freak. Cox will be leading four or five hikes but said her favorite was the fern walk on the Little River Trail. “You can see more than 20 species of ferns within a half-mile,” Cox said. WCU’s own Dr. Dan Pittillo, retired botany professor, is another perennial trip leader as well as Hal and Laura Mahan owners of The Compleat Naturalist in Asheville. You can also call the W.L. Mills Conference Center for more Pilgrimage information at 800. 568. 4748.